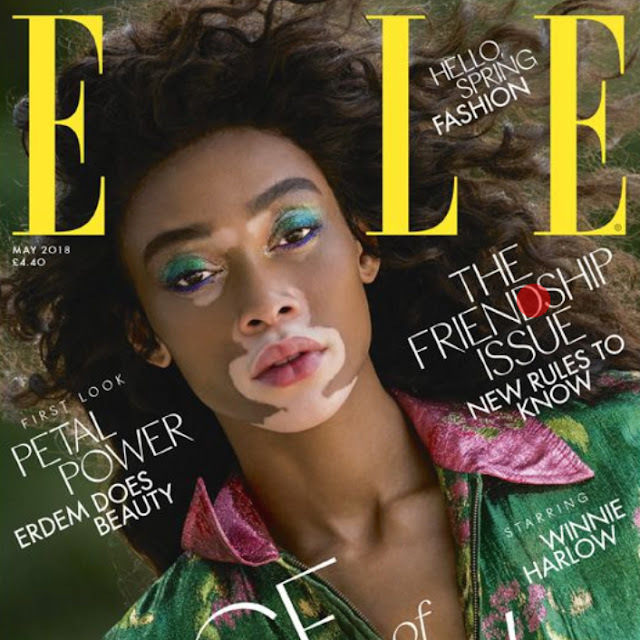 The Face of Now: Winnie Harlow Covers Elle UK! Remember last week when Winnie Harlow asked, “Do you see me suffering?” after The Evening Standard labeled her a “vitiligo sufferer“? I think it’s fair to ask that question again after seeing the model on the cover of Elle UK’s May issue. The beauty is the definition of living life in color as she stuns in Gucci and complementary pastel-colored makeup as the mag’s cover model.